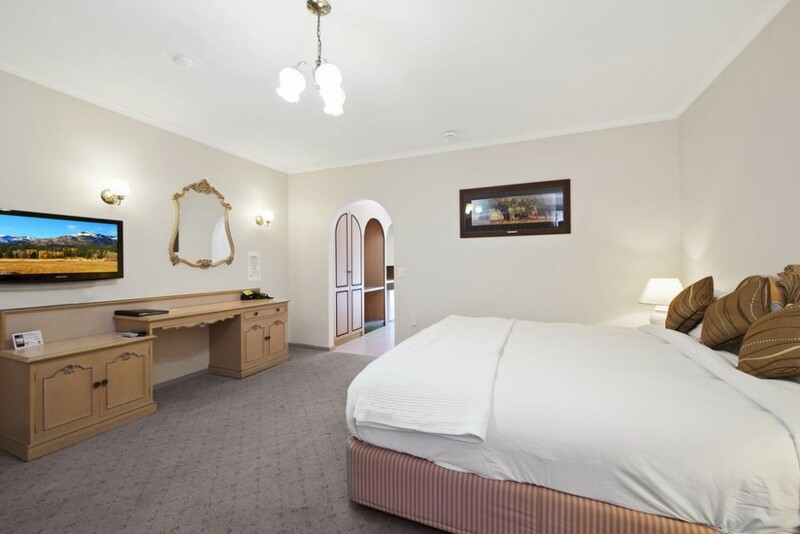 Non smoking motel room with a King bed and Queen bed and a private bathroom with a shower. 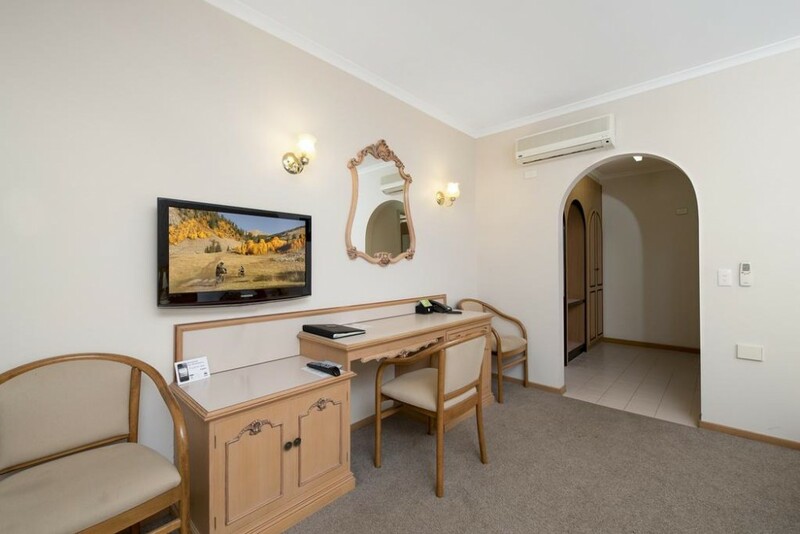 Has all standard motel facilities such as flat screen television, DVD player, tea and coffee making facilities, iron and ironing board, minibar, electronic key card door locks, reverse cycle air-conditioning and an in-room safe. Located in the back section of the property. 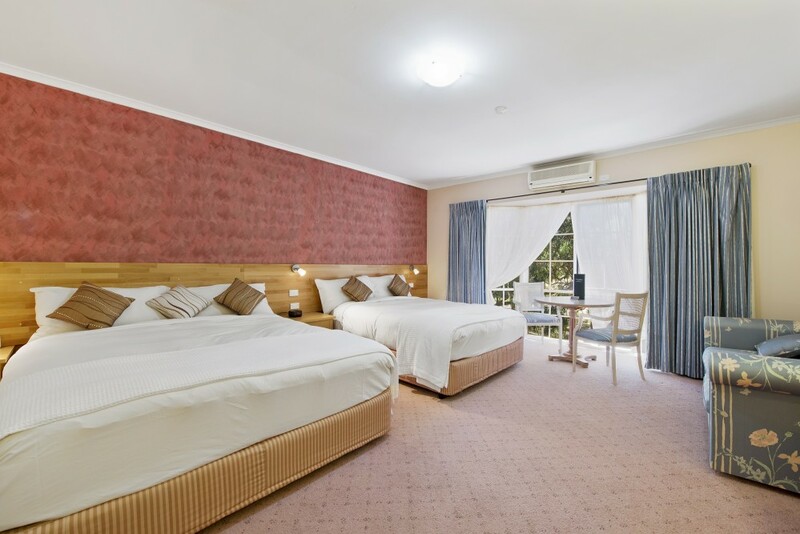 MAXIMUM OCCUPANCY 4 PEOPLE - please ensure that the correct occupancy is entered as additional charges may apply.